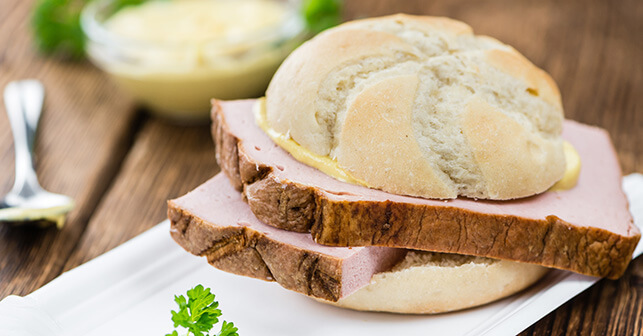 While some classic sandwiches like peanut butter and jelly are widely popular here in the United States, they don’t have the same notoriety abroad. The reason? Peanut butter is a U.S.-based condiment, just like vegemite is native to Australia. The shape of a sandwich may be universal, but the toppings are clearly reflective of their origin. 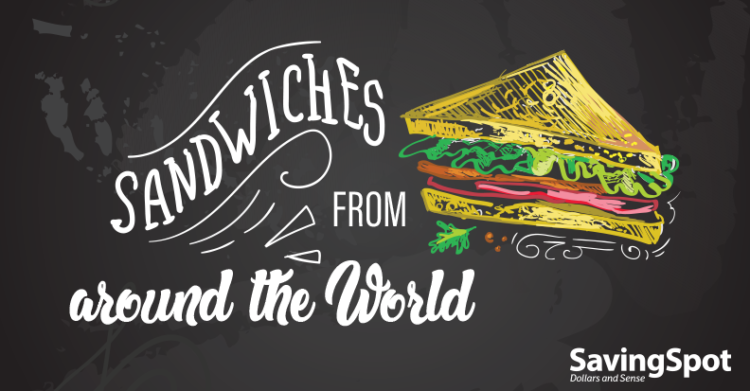 As a result, sandwiches are the perfect vessel for getting to know another culture. 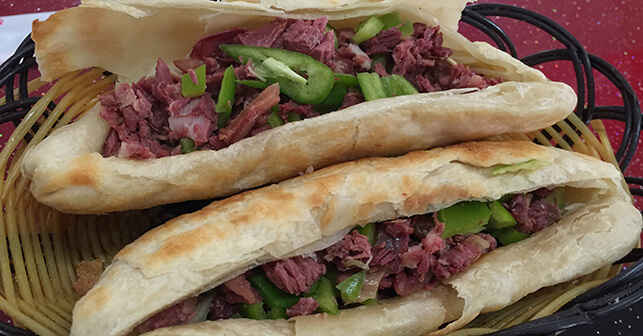 Not only is it a budget-friendly choice, it’s also a great way to see another culture’s interpretation of the classic sandwich structure and how they layer the toppings that are common to their region and familiar in their traditional cuisine. 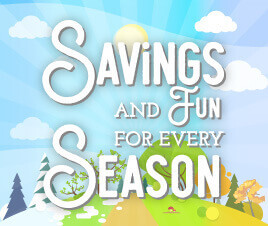 Chomp your way through the many tasty and unique options available around the globe. Let’s kick it off with the aforementioned vegemite sandwich. 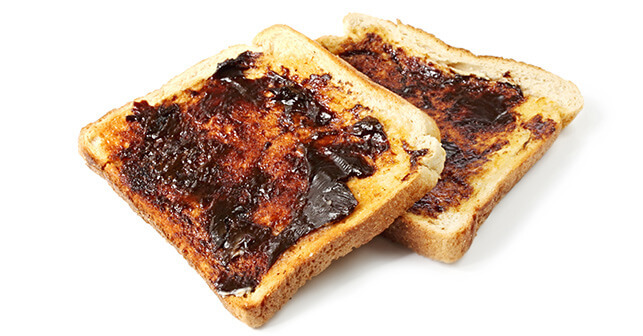 Interesting fact: A by-product of beer production, vegemite’s brown, thick texture comes from leftover yeast extract. Unlike most sandwiches on this list, vegemite sandwiches are usually consumed at breakfast rather than midday or evening meals. 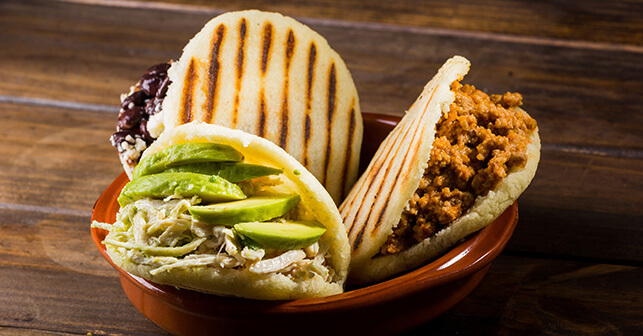 Interesting fact: Consumed at breakfast, lunch or dinner, arepas are stuffed with almost anything you want, from chorizo and eggs in the morning to pork and avocado in the evening. Because of their versatility and easy-to-hold pocket structure, they’re a popular street food available in most any market. 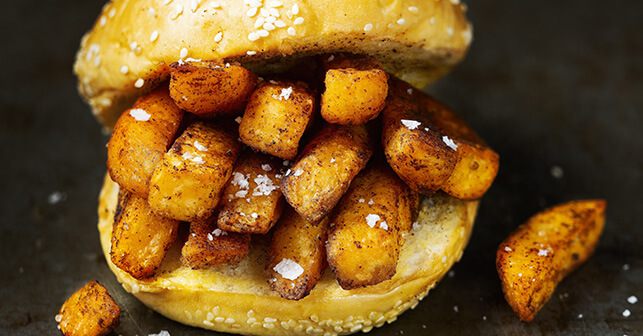 Interesting fact: If you’re familiar with Pittsburgh’s famous Primanti Brothers sandwich, you won’t be thrown off by this handheld method for massive fry consumption. This sandwich is filled with only fries (better known across the pond as chips) and surrounded by bread and butter (a.k.a. “butty”). 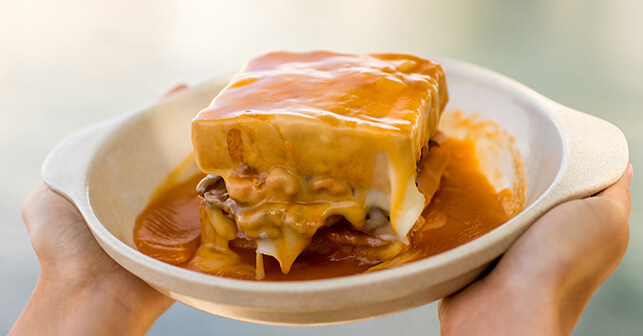 Interesting fact: Created by a French/Belgian emigrant as the Portuguese response to a croque monsieur, this meat-packed sandwich is covered in melted cheese and beer sauce.2 The beer sauce is unique in every restaurant the francesinha is served and is typically the central point when arguing the best one. Interesting fact: This spicy veggie burger started as a cheap street food but has since become common in both fast food restaurants and the swankiest hotels. 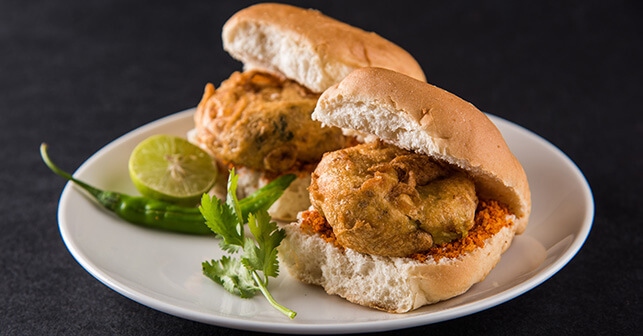 Stuffed between two slices of pav bread, this potato patty is typically topped with a fruit chutney made with coconut, garlic and tamarind for a savory and sweet flavor blast. Interesting fact: Cemitas and their cousin the torta may have similar ingredients, but there are two distinct differences. First, the bread — cemitas will have sesame seeds sprinkled on top. 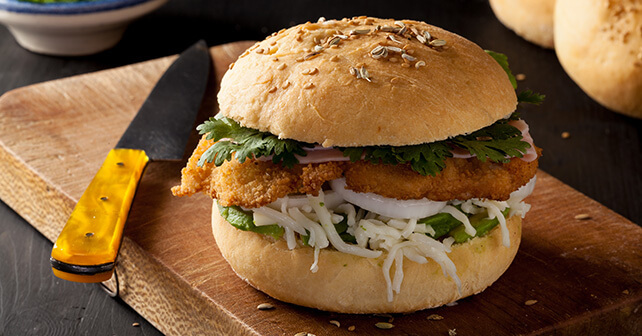 Second, the meat on a cemita is typically deep fried, whereas torta meat is grilled. 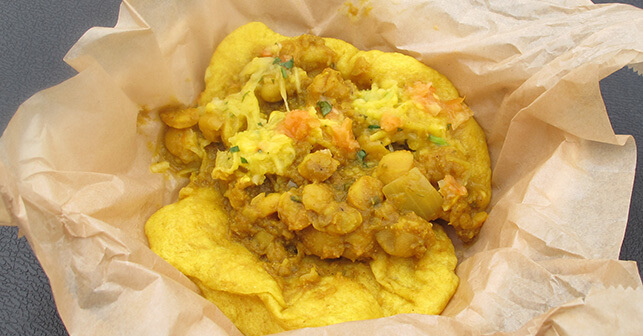 Interesting fact: These heavenly twin pockets of fried dough stuffed with curried chick peas, mango and a cilantro cucumber and coconut sauce were once served as a single sandwich. Legend says that so many customers asked to double it that it became the signature way to serve it, and thus the name was born. 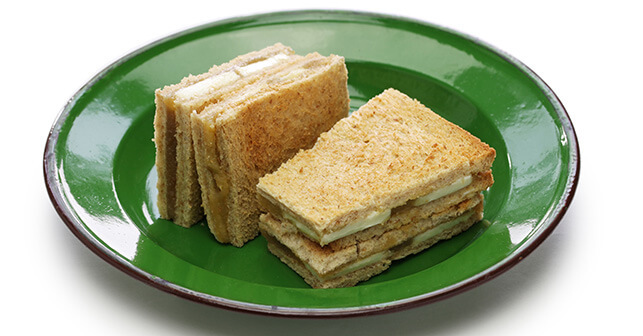 Interesting fact: A sweet sandwich most commonly found at breakfast, kaya toast is more defined by its bread than what it’s stuffed with. White bread is smothered in butter, toasted and served with kaya jam (coconut milk and egg) and a half-boiled egg.